Seahawks defensive end Michael Bennett posted on Twitter today a story in which he says he was profiled and violently harassed by police in Las Vegas, Nevada, while in town for the Mayweather-McGregor fight. 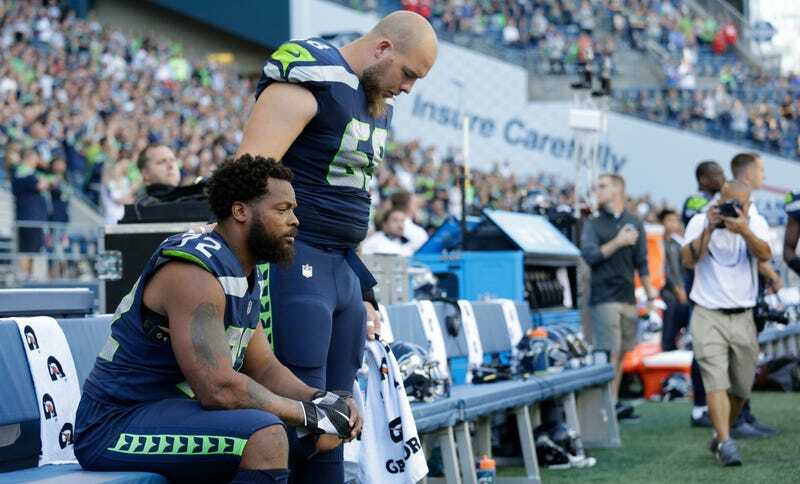 Bennett has been one of the most outspoken NFL players about racial equality and unjust policing toward black Americans, and is one of the most respected voices on this issue. He joined Colin Kaepernick in sitting for the national anthem last year, and has said he will sit it out this year. Yesterday, The Undefeated published a long interview and profile of Bennett addressing his wide-ranging and well-informed positions as a social activist. Bennett writes that he has retained John Burris, a well-known civil rights attorney who was a member of Rodney King’s legal team, to assess his legal options against the LVMPD. Update (11:39 a.m. ET): Michael’s brother, Martellus, posted on Instagram about his brother’s experience in Las Vegas.